Or 6 payments of $11.50 What's this? The Oceanpro Scorpion Mask is a high quality scuba diving mask that is available in a range of stylish and bright colours. This scuba diving mask from Oceanpro features the popular low volume frameless design which helps make the mask extremely comfortable. 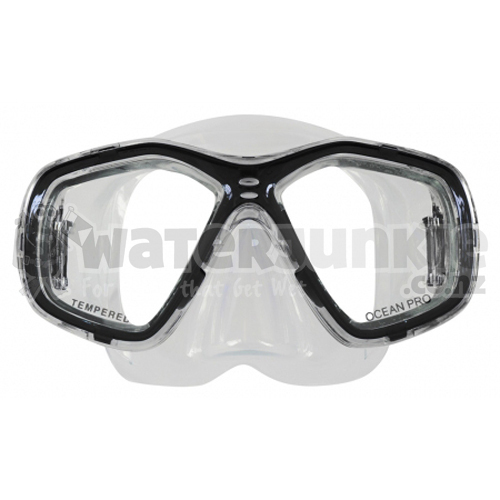 The Oceanic Scorpion Mask has a 100% liquid silicone skirt and features a tempered glass lens that is fog resistant and helps improve your visibility.